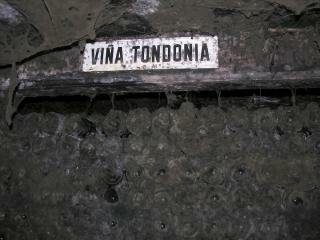 Viña Tondonia, founded in 1913-14 by Don Rafael López de Heredia y Landeta, is a vineyard of over 100 hectares situated on the right bank of the river Ebro. 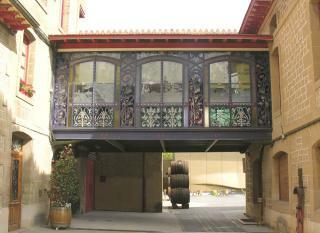 R. López de Heredia also own "Viña Cubillo", "Viña Bosconia" and "Viña Zaconia". 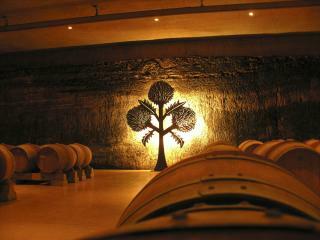 Neither slick not smart but imbued with atmosphere by a family-run operation that believes strongly that its wines show best after vinification in big oak casks (it has its own cooperage) and ageing for lengthy periods of time. 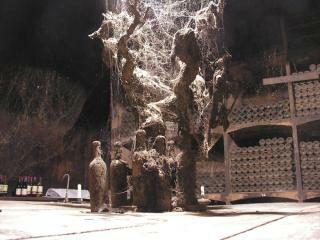 But you have to see the winery to really understand how its theatrically dark and cobwebbed cellars contribute so strongly not just to the atmosphere but to the ageing of the wines. Mercedes then showed some of the young wine not yet in bottle as an interesting contrast: a 2009 Tempranillo with lovely fresh succulent fruit , and an excellent 2009 Graciano, deep colour, wow nose, very intense and spicy, touch of pepper, lovely dark fruits concentration and damsony acidity freshness and firm backbone. Seems almost a shame to have to wait. 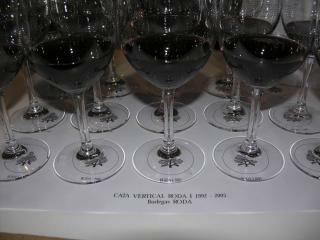 At Roda in Haro the previous evening, Agustin Santolaya treated us to a vertical tasting of all the Roda 1s, their top wine that is, from its inception until the 2005 vintage. 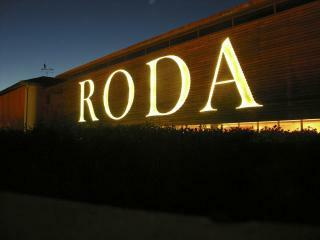 Owned by Mario Rotllant and Carmen Daurella (hence Ro-Da), Roda uses tempranillo and garnacha grapes from 20-odd blocks of old vines, taking the best 17 each year from vineyards in the Haro area of la Rioja Alta, and ageing the wine after vinification only using French oak. Apparently they like to do the vertical tasting on a regular basis and some 3000 people have participated in different parts of the world. An Atlantic vintage, a very rainy year and less sun, including rain at harvest time. 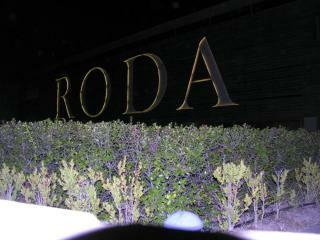 1993 was an even worse vintage so no Roda 1 was produced, only Roda II. 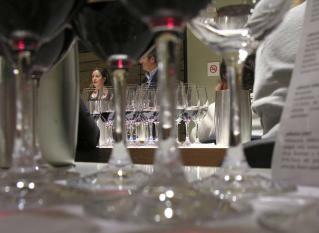 Given the youthfulness of the 2004 and 2005, both excellent vintages, the question was asked whether most of the young wines would be drunk too soon. They revealed at that point that for precisely that reason, they were keeping 30,000 bottles of the 2004 and 2005 for selling later as museum releases. Hurrah!